Cadencelypso King, Webster "Web" Marie, will face 19 competitors at the second edition of the NCCU Cadencelypso Show, which will be staged on October 19, 2013, at the Newtown Savannah. 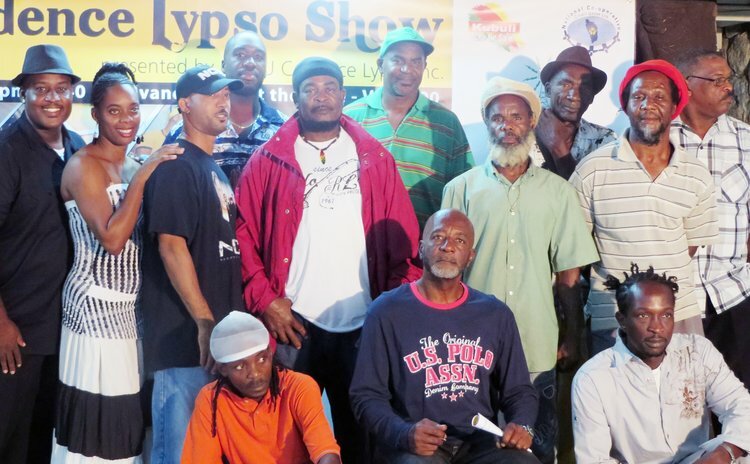 The 20 finalists were announced on October 1, 2013, at a ceremony held at the Old Mill Cultural Centre to officially launch the 2013 Cadencelypso Show. This year, Cadencelypso lovers will once again be treated to an exciting range of Cadence voices and music from veterans and newcomers when the cowbell "tokes" on October 19. On stage will be: Rhamadine Phillp (Kalfa P) singing "Chatt Pa La" John Fontaine: "Ewitage Kadance" Webster Marie (Web): "Bef" Steve Williams (Triumph): "Bush" Lloyd Wayland (Energizer): "The Time is changing" Eramus Morancie: "E'T Par Bon" Jude Delauney (Jay Dee): "See Me On" Vincent Gregoire (Piyo) :"Jamais Change" Richard Christmas (Beno): "Yo" Ellis Serrant: "Mowve Maladi" Libby Thomas: "Oui Cest Vwai" Chris Sylvester (Chris B): "Awete" Cletus Joseph Abraham (Halibut): "De Long Tongue" Daniella Bruno: "Belle Dominique" George Jervier (Acre): "Yo Ka Van Co Ayo" Henry Etienne (Kendies): "Difay" Algernon Ducreay: "Jalouzie" Carlyn Xavier-Phillip: "Back Biters" Shirley Charles (Lady S): "Let Me Love You" Louis Anselm & the Majestic Tribe: "Jeux Cadence". The show will feature the Kings of Cadence, Midnight Groovers. Patrons can purchase tickets at all Branches of the National Cooperative Credit Union Ltd.